Rent Google Chromebooks for Business for $30 per User: Is It Worth It? Google is renting Chromebooks to companies for $30 /month. It includes a 3-year limited warranty and customer support. But will it save your business money? Sounds like a groovy idea. But is it worth your money? Let’s take a closer look. Chromebooks are easy to administer and easy to deploy. For web-centric workers and a fluctuating workforce, the Chrome device rental program might be just the ticket. Chromebook rentals make sense in the short term. But in the long run, it’s essentially an expensive extended warranty. Google Chromebooks – Rent vs. Buy: What Do You Get? Before deciding whether it’s cost-effective to rent a Google Chromebook (or the Mac Mini-like Google Chromebox), it makes sense to determine if Google Chromebooks are a good fit for your business in the first place. For an overview of what Google Chromebooks can do for your operation, check out the official Chromebooks and Chromeboxes for Business page. It most easily boils down to one question: can your business run on Google Apps? The main thing about Chromebooks, as you likely know, is that they don’t run Windows or Mac OS X. They run Chrome OS, which is largely a fast track to the web, where all the productivity is crunched and stored in the cloud. 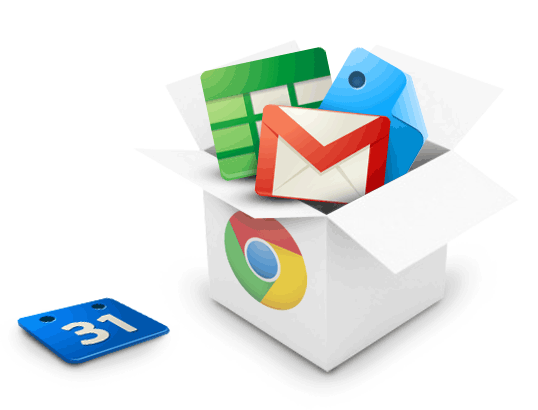 If your business already integrates Google Apps, such as Google Docs, Gmail, Google Calendar, Google Sites, etc., then the transition to Chrome OS might be a no brainer. For others, it’ll take some careful evaluation. But let’s say that you do want to invest in a Chrome OS-based business IT infrastructure. Does it make more sense to rent or buy? If you buy Chromebooks, you’re looking at paying about $449 per device (according to Google’s own savings calculator, which compares Chromebooks to Windows laptops). If you want to go with an older model Chromebook, you can pay as little as $349 per device. If you want a Chromebox, you can get it for $329. 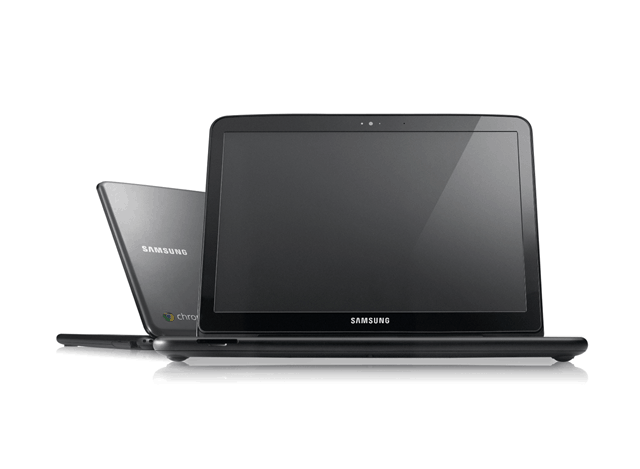 Off the shelf, Samsung offers a 1-year limited warranty for the Samsung Series 5 and Samsung Series 5 550 Chromebook. In terms of tech support, you won’t get anything special beyond what other Samsung customers get. If you are buying through Google Chrome devices business sales, you’ll likely get some kind of preferred treatment from Google’s team—especially if you’re an apps customer. The $449 pricing is for a WiFi Chromebook model. When you rent a Chrome device, you’re looking at paying $30 per device each month for a Chromebook and $25 per device for a Chromebox. I’m assuming that this pricing is for WiFi models. I’m sure that there is a way to upgrade to 3G models, but I wasn’t able to find details (the call-to-action link in the email has been big fat broken for days). As a hint, when Austin wrote up Google Chromebook subscription plans for enterprise in May 2011, the expected upcharge for 3G was $3 per device. Google Chromebooks for rental seems to be an evolution, or at least fruition of the Google Chromebook subscription program mentioned in the Google I/O keynote where we sourced our info from last year. As mentioned above, a Chromebook rental gets you 3 years of limited warranty (versus the 1 year manufacturer warranty) and 24/7 customer support. When uptime is money, that’s nothing to sneeze at—especially since Google is notoriously elusive with it’s live support for the hoi polloi. But the real selling point is the ability to cancel at any time. This is a change from the 3-year contract that was expected when Chromebook subscriptions were first announced. This means you can rent 100 Chromebooks for your summer interns and then give them back after three months and not owe a single cent more. In that scenario, you’d be spending $90 per device, saving you about $349 a head over buying new computers for the temporary workers. Poll Results: Would You Buy a Netbook That Only Runs An Internet Browser? 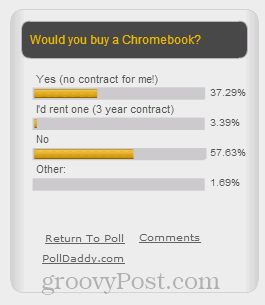 Last year, we asked groovyPost readers if they’d consider renting or buying a Chromebook and over half of the respondents answered “no” to both. At the time, Chromebooks were being offered with a 3-year contract. With the new Chromebook rental deal, that 3-year contract is out the door. And Chrome OS and the Google Chrome Web Store have come a long way. Could the new Google Chromebook rental offer change opinions? 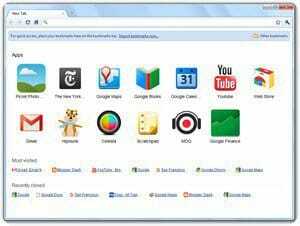 Google Chrome rentals is a trial program. The ability to rent Chromebooks/Chromeboxes for business for $30/$25 is a limited time offer. Not only that, this program is something that Google is “trialing.” If the Google Chrome rentals program goes the way of Google Wave, Google Notebook, Google Buzzand Dodgeball, then it won’t be very good for your business that relies on it. Google Apps, data plan, etc. not included. Google Chrome OS is not just cloud-centric—its lifeline is plugged straight into the cloud. In order for Google Chromebooks and Chromeboxes to be worthwhile, you’ll need Google Apps account(s) and connectivity. These are additional costs to factor in. Of course, if you are comparing this to other IT software & infrastructure, hosting, management and administrative overhead and deployment costs, a Google Chrome OS fleet may actually save you money versus a Microsoft, Red Hat or Mac OS fleet. But still, it’s important to keep adding up costs after the $30 device rental fee. Bottom-line: If Chrome OS works for you, renting Chromebooks may be a slick way to save money in the short term. From an administrator standpoint, the ease of cloud-based management and the no-strings scalability may be worth the slight premium in the mid to long term. But it’s safe to say that Chromebooks, let alone rented Chromebooks, aren’t going to be right for every business and organization. That all being said, it’s worth consideration. We’d love to hear from anyone who uses Chromebooks in their organization. Heck, we’d even love to hear from folks who considered going Chrome OS but ruled it out. Enlighten us in the comments.